Rejoice! 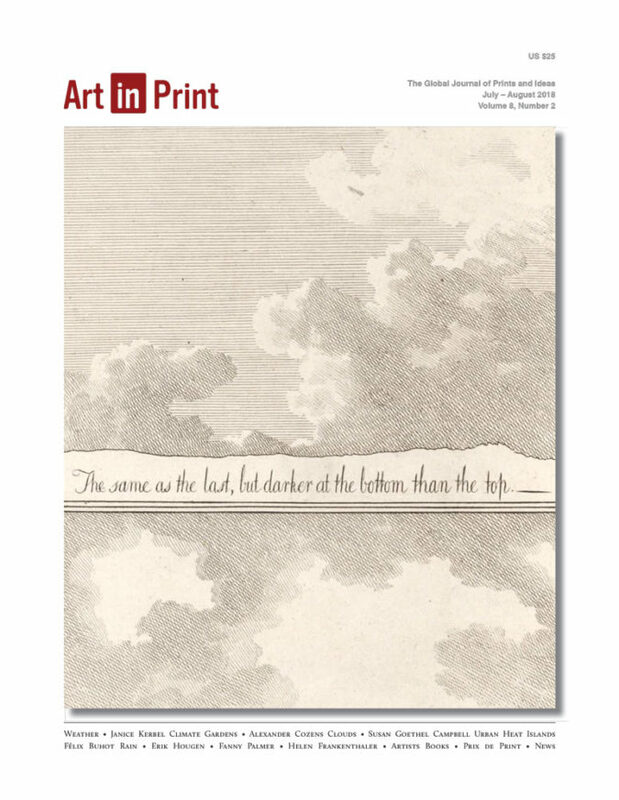 The latest from Art in Print has hit the newsstands, and in the shiny new July/August issue, which meditates on the topic of weather, is a monograph of Susan Goethel Campbell, written by yours truly! You can read it here! You can also subscribe online or in print, or pick up a copy wherever fine art magazines are sold, if such a place anymore exists! Not so very long ago, “weather” was a byword for the benign and noncontroversial—a topic stuck securely to the self-evident (“nice day”) or at least the dispassionate (“think it’ll be a cold winter?”). Poets and songwriters reached for weather as a handy metaphor (“Ain’t no sunshine when she’s gone”) since its experience was shared by all. That was before “climate” became a byword for existential risk. This issue of Art in Print charts these shifting winds.